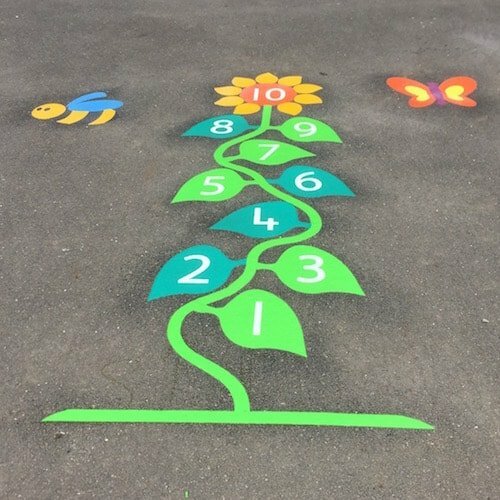 A colourful and bright variation of the traditional hopscotch game with leaves as the stepping squares and the number 10 in the flower. 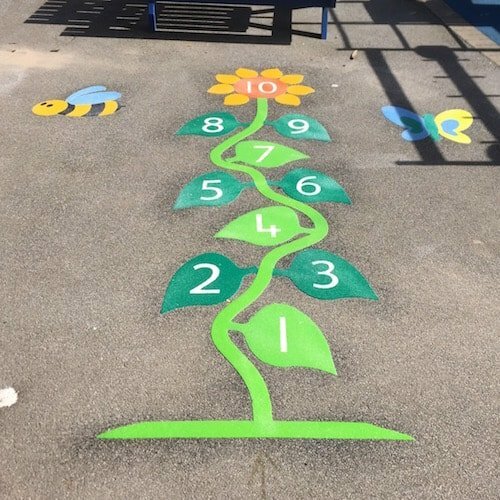 Best for Nursery children and Keystage 1 playgrounds. 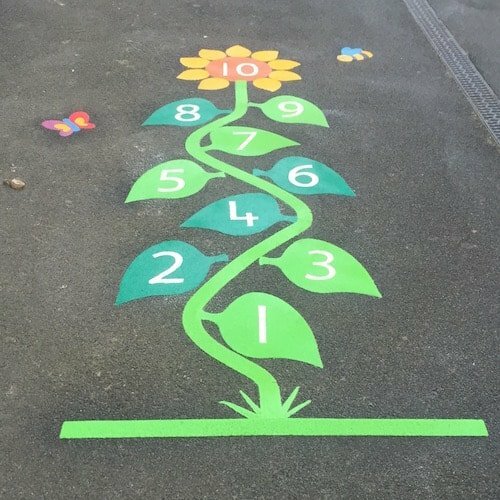 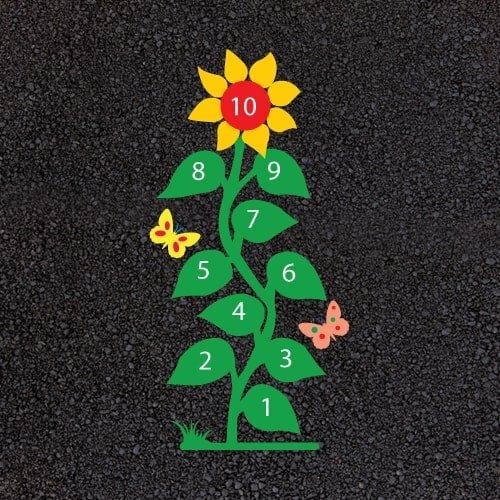 The sunflower hopscotch is one of our most popular playground markings and will brighten up any plain tarmc.